Description: Popular food and television personality Curtis Stone brings ease to the kitchen by elevating everyday meals to an experience that can be enjoyed as much for the process as for the beautiful end result. Curtis Stone shares 120 recipes for quick, modern versions of classic dishes that will appeal to the whole family. Effortlessly, he delivers solutions to people who want to eat healthy, interesting meals that don't take all day to cook. This book shows that fast recipes don't have to feel hurried or rushed, and encourages people to take pleasure in the process of cooking at home. Recipes include Butternut Squash with Sage Brown Butter, Grilled Pork Tenderloin with Alabama BBQ Sauce and Asparagus, Potato-Zucchini Enchiladas with Habanero Salsa. 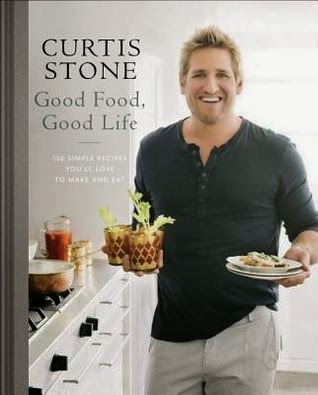 Curtis Stone's natural style in the kitchen inspires readers to connect with the textures, sounds, smells, and tastes that make up the culinary journey.